Nigeria's aspiration for the vice presidency of the United Nations Environment Assembly (UNEA) received a major boost today as the African Ministerial Conference on the Environment (AMCEN) was officially informed today. Speaking to over 40 Ministers of the environment and heads of country delegations at the 6th special session of the conference in Cairo today, Alh. 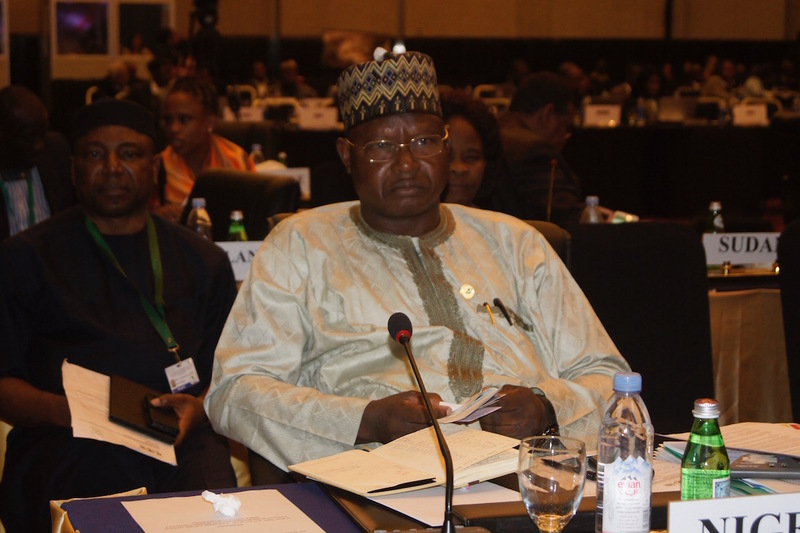 Ibrahim Usman Jibril, Nigeria's Minister of state for Environment who represented the senior minister, expressed the country's delight to present Mrs. Amina Mohammed for nomination as one of the two Vice Presidents from Africa on the bureau of the UNEA 2. Alh. Jibril hinged his senior minister's nomination on her eminent status as one of the architects of the sustainable development goals (SDGs) and her focal commitment to the African cause in the global effort to achieve sustainable development as well as the environmental dimension of Agenda 2063. The Minister of State further expressed Nigeria’s support for the AMCEN process aimed at presenting a unified African position at the forthcoming UNEA2, May 2016 year in Nairobi, Kenya. Nigeria, according to him, believes that the African Renewable Energy Initiative (AREI) and the African Adaptation initiative (AAI) are veritable tools for sustainable development on the continent in the near future. "Nigeria considers building capacity and retooling the youths of Africa through education and employment as a necessary and urgent requirement for sustainable development in Africa. The continent is well endowed with enormous human resources and is still growing. We should invest in this precious resource for Africa’s renaissance," he said. 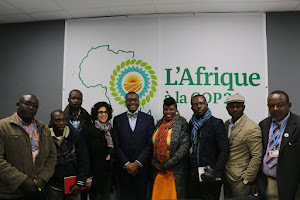 On their own part, the African civil society coalition under the aegis of the Pan African Climate Justice Alliance (PACJA) believes taht UNEA should be the rallying point for Africa’s environmental consciousness, and called for all stakeholders to continue supporting UNEP-RoA which hosts the AMCEN Secretariat. Over time, UNEP RoA has distinguished itself as the centre of action in environmental discourses in Africa. We call upon other governmental processes and platforms to emulate the AMCEN’s model of partnership with the Civil Society and other stakeholders. UNEA was formed following a call by world leaders at the UN conference on Sustainable Development (Rio+20) in Brazil in June 2012. The aim of the UNEA was to strengthen and upgrade UNEP as the leading global environmental authority that sets the global environmental agenda and by establishing universal membership in its Governing Council – a 58-member governing body of UNEP in place since 1972. Subsequently, at the first universal session of the UNEP Governing Council held in February 2013, member states recommended to the UN General Assembly that the Governing Council be renamed the United Nations Environment Assembly of the United Nations Environment Programme with universal membership. In March 2013, the General Assembly adopted resolution A/RES/67/251 that formally changed the name of the Governing Council to the United Nations Environment Assembly. Now all 193 UN member states, observer states and other stakeholders participate in discussions and decision-making on issues that affect the state of the environment and global sustainability. As the new governing body of UNEP, UNEA has the mandate to make strategic decisions, provide political guidance in the work of UNEP and promote a strong science-policy interface. As the world’s most powerful decision-making body on the environment and the de-facto “Parliament for the Environment” responsible for tackling some of the most critical issues of our time, UNEA holds the power to dramatically change the fate of the planet and improve the lives of everyone, impacting everything from health to national security, from the plastic in the oceans to the trafficking of wildlife. Thanks to UNEA, the environment is now considered one of the world’s most pressing concerns alongside other major global issues such as peace, security, finance and health. This year in May, hundreds of key decision makers, businesses and representatives of intergovernmental organizations and civil society will gather at UNEA 2 at the United Nations Environment Programme headquarters in Nairobi, for one of the first major meetings since the adoption of the 2030 Agenda for Sustainable Development and the Paris Climate Agreement. The resolutions passed at UNEA-2 will set the stage for early action on implementation of the 2030 Agenda, and drive the world towards a better and sustainable future. UNEA 2 is also inclusive, with myunea.org allowing citizens to feed their concerns into the meeting and take personal ownership of the collective challenges we face.